Our family friendly outdoor lights event is a must see this winter season. Free admission. Food and clothing donations appreciated. 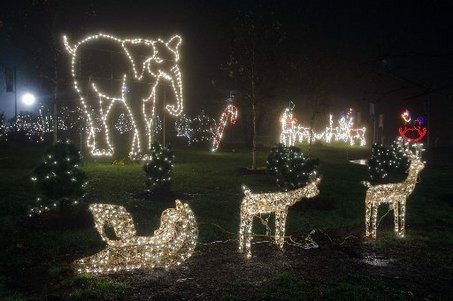 Take a winter stroll through the Essex County Turtle Back Zoo this holiday season under the sparkling lights of over 50 winter and animal characters. Celebrate the season of giving by bringing donations of non-perishable food items, new toys, and gently used coats. Different themed activities featured each December weekend makes visiting extra exciting! Visitors are encouraged to wear costumes that coordinate with the theme! Characters are located by the Main Zoo Front Entrance till 8:30pm.